Preschool Games, Toddler Games app includes six educational mini games for kids and toddlers! 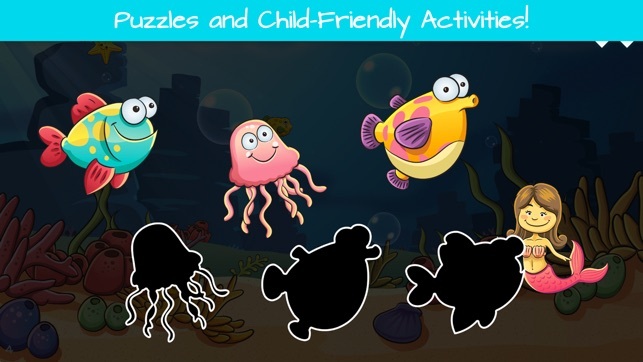 Kids can fill up their own aquarium by completing activities and earning new fish and other sea animals. Preschool Games, Toddler Games includes three different skill levels: Toddler,preschooler, and kindergartener. Additionally, parents can choose the activities, the children can play. The difficulty can be adjusted to make it interesting to both toddlers and preschoolers alike. 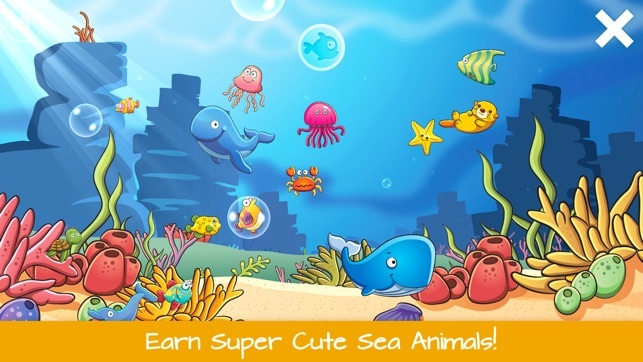 There are 76 different fish/sea animals to be earned and the whole experience happens in an exotic underwater setting. Each activity is carried out with encouraging and rewarding manner. 1. 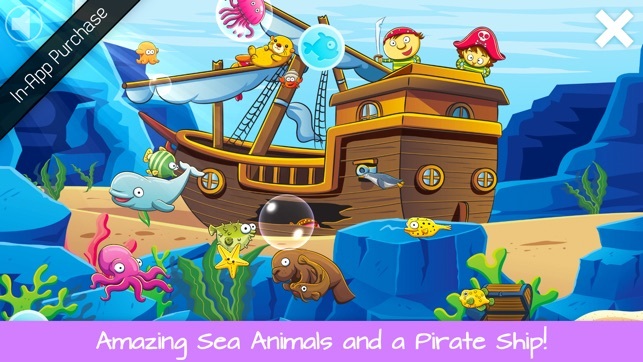 Species - Learn different fish and other sea animal species. 2. Puzzles - Endless amount of randomly generated fish puzzles. 3. Colors – Pick the fish of the right color. 4. Comparisons – Distinguish different size of sea animals. 5. 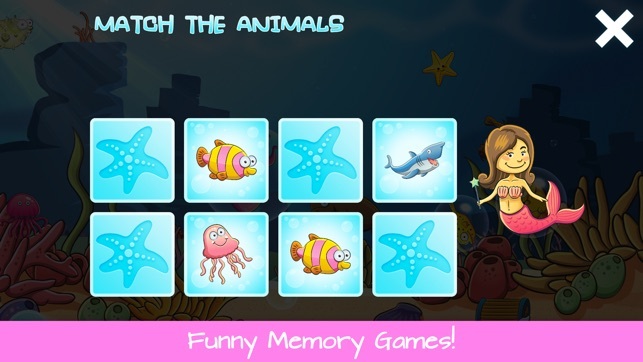 Matching – Use your memory and find the matching fish. 6. Counting - Learn numbers and counting. - 6 educational mini games! - 3 skill levels: Toddler,Preschool,Kindergarten! - Retina graphics for all devices! - Aquarium filled with exotic fish (76 different species)! 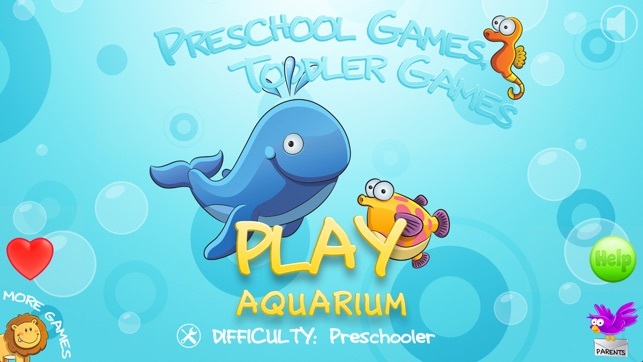 - Preschool Games, Toddler Games is free to try and contains In-App-Purchases! My son loves this app, but he's been getting a black screen as soon as he taps on the aquarium. My 18 month old loves this app. It's a bit advanced for him, but with a little guidance, he enjoys all the games. Especially counting the fish. He loves fish and likes all the graphics within the app. I hate toddler toys and games that quickly flash lots of colors and images to keep kids attention. They overstimulate my son. This app does not do that. It's calm and talks through the games in a soothing voice. The controls are simple enough that my son can navigate through the app himself. We shared the game on my iPad with my 2.5 yr old niece tonight and she never wanted to stop playing. I think its perfect for her age group. After a couple rounds, she played all the games without assistance. After 20 minutes straight, we finally had to ask her to stop playing because my son wanted to do something else. This was great from the start. Our little one first started playing with the bubbles then discovered the games. Now at at just about 2yo she is matching the shapes. I didn't even realize she had switched the level to kindergarten till after she surprised me with the shapes. It's nice to have an app keep challenging her. We had to pay for more games to keep up with her. Keep up the good work. We hope to see more games in the future. This app is great for growing brains.